Here’s a new one I found that I love, love, love! 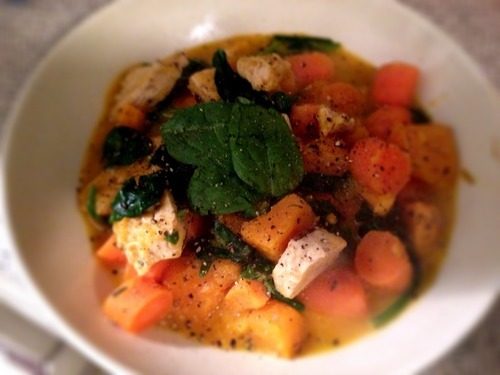 I use a lot more butternut squash than this recipe, and you can even leave out the potato and put in more chicken if you want! YUM!! ← Gluten Free Oatmeal Chocolate Chip Cookies! !